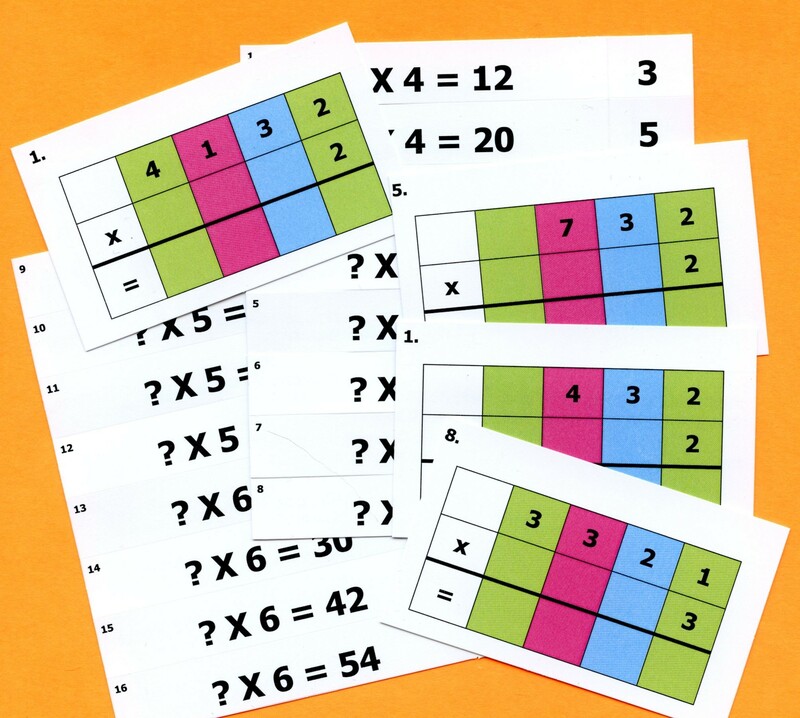 This material consists of exercises with plastic cards which cover multiplication problems graduated in difficulty, without carrying at first, and later involving carrying in multiple hierarchies. The exercises are designed to parallel the work with the Golden Beads, the Stamp Game, and other Montessori materials. All exercises are coded to coordinate with the Albanesi Curriculum Program (ACP) for math.